INVESTORS TAKE NOTICE. LARGE GLENWOOD HOME WITH GREAT BONES. 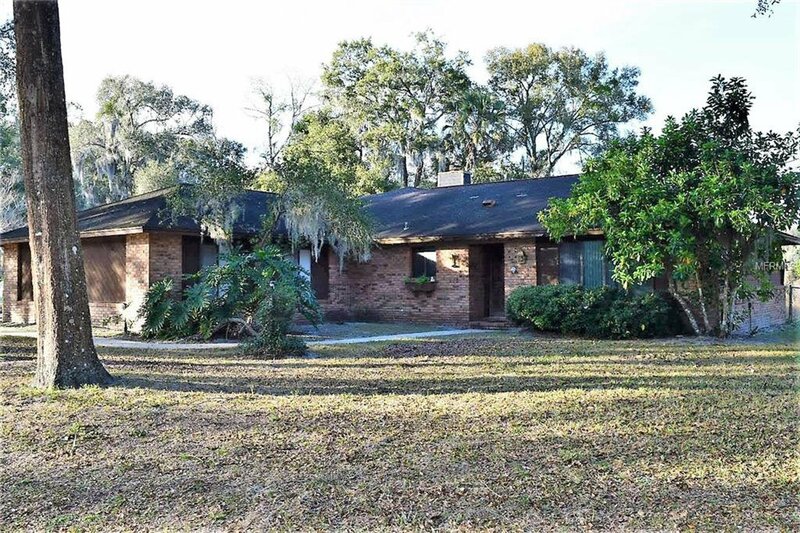 OPEN AND BRIGHT WITH A GIGANTIC KITCHEN, DINETTE SPACE AND FAMILY ROOM WITH WOOD BURNING FIREPLACE WHICH OPENS TO AN ENCLOSED FLORIDA ROOM OVERLOOKING OLD FLORIDA SPANISH MOSS-LADEN OAK TREES. THERE'S ALSO A FORMAL LIVING ROOM, A SPACIOUS MASTER BEDROOM, WALK-IN CLOSET, AND NICE SIZED BATHROOM. THE SPLIT PLAN RANCH INCLUDES TWO ADDITIONAL BEDROOMS, ANOTHER FULL BATHROOM, AND A BONUS ROOM USED AS AN IN-LAW SUITE, ONCE UPON A TIME. THE ONE ACRE LOT SITS ON A PRIVATE CUL-DE-SAC AND OVERLOOKS A POND WHERE WILDLIFE GATHERS IN ABUNDANCE. THERE IS PLENTY OF ROOM TO STRETCH OUT, TAKE A DEEP BREATH AND JUST BREATHE.....WELL, AFTER YOU DO THE REPAIRS. THERE IS A NEW ROOF NEEDED SOON, AND SOME UPDATING. ALTHOUGH, RETRO IS IN DEMAND. THIS IS A DIAMOND IN THE ROUGH. CLEAN, SHINING, AND WAITING FOR A SECOND CHANCE. Listing courtesy of TOWN AND COUNTRY REALTY. Selling Office: TOWN AND COUNTRY REALTY.